Practicing is an art unto itself. The most common trap that we all fall into is playing rather than practicing. As a fellow guitarist I have no doubt that we share the same passion, if not obsession, with the guitar. It is such am amazing instrument that feels wonderful to play. But playing is not practicing. In fact, there is a giant chasm between the two and if you are not careful playing can be harmful to your technique and repertoire. First and foremost, you need to know what you are trying to accomplish at any given part of your practice routine. By deciding upon one or several goals before you start practicing you are setting yourself up for improvement. Write down on a piece of paper the goals you want to achieve in the session, and at the end go over the list to see what was accomplished and what needs to be worked on in the next session. The beautiful benefit of this is a sense of accomplishment and direction that can frustratingly elude us if we practice aimlessly. This takes the most discipline of all because practicing slowly is not as enjoyable as practicing fast… well at least not at first. Slow practice allows your ears, eyes and brain to grapple with the complex processes that are unfolding each time we play. It is not that we need to practice playing slowly rather we need to be aware of all the issues that are present and work on them methodically. The best analogy I have heard is being a passenger in the car and looking out the window. When the car is whizzing along, you will have a tough time seeing all the detail in the landscape passing by, you will simply get a general idea, an overview. When that car slows down in traffic, suddenly details start appearing; plants, animals, broken glass on the side of the road, a lone coin… It is these details that will make you a better player. You will be aware of things you need to improve and you will have the chance to productively take on individual challenges. Perhaps you are slow, perhaps you have goals, but if you practice a mistake you are teaching yourself to always play that mistake. The favorite phrase people use is “Practice doesn’t make perfect, perfect practice makes perfect” This is a great phrase to keep in mind, but bearing in mind that being perfect is nigh on impossible, and an inevitably frustrating standard to live up to, I recommend “mindful practice makes perfect”. If you are thoughtful, careful, aware, patient, and curious, in a word, mindful, then you will reach your full potential, quickly. We don’t all have hours upon hours to dedicate to this wonderful instrument, and to be honest a mountain of free time is not always as productive as you might think. So, we have to make the most of the time we have available. If you are taking the time to read this lesson, then you are a curious and industrious learner. Use that industry to plan your own practice times. Divide it into sections, set goals (realistic goals!) and when you finish go over what you achieved. It will feel good to list all the achievements you made. Ten minutes can be quite a long time when it is used well. You young whippersnappers may not pay too much attention to warming up, but believe me, it will become very important as time passes and it is good to start these habits early. You are asking a lot of your hands arms and back when you practice, and injuries are a very real issue that we all face. To prevent RSI, carpal tunnel, focal dystonia and a slough of other horrifying medical terms, take the time to warm up each time you sit down for a practice session. Warming up can be productive for your practice, it doesn’t have to be an idle event. It isn’t rocket science, but it does take discipline. Finally, the most rampant issue I come across in masterclasses is repertoire that is too difficult. This is really a massive problem. Similar to the issue of slow practice, we all want to play the big fast pieces, even if our technique isn’t up to it. The problem with this is that you will make very, very slow progress with pieces that are too difficult and more than likely, you will develop bad habits in your technique. The responsibility lies often with teachers who are too soft on students who want to play above their pay-grade. Its like a kid with candy, too much will make them sick (have you noticed how much I love analogies?). 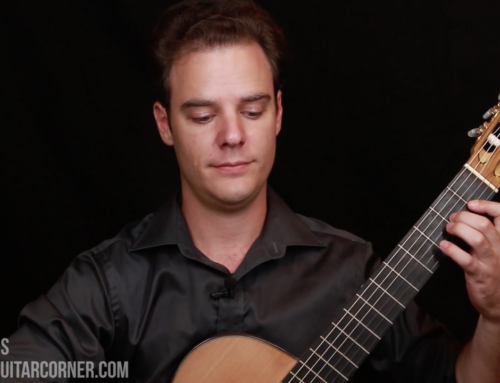 If you have a teacher, trust in their guidance for repertoire, and if you are teaching yourself with online help, I can recommend graded pieces like 10 Progressive Pieces for Classical Guitar. I wrote this book for my own students so they will progress effectively through their studies, without getting frustrated or developing bad habits. Practice Technique for a Musician.